The firm shares updated stats, showing that it's grown the percentage of women in its overall workforce from 24 percent to 29 percent -- though in tech positions the figure is lower. Women now comprise 29 percent of Microsoft's worldwide workforce, up from 24 percent over the past year, according to new figures released by the company. Microsoft made available new diversity stats and launched a new diversity and inclusion Web site on October 3. 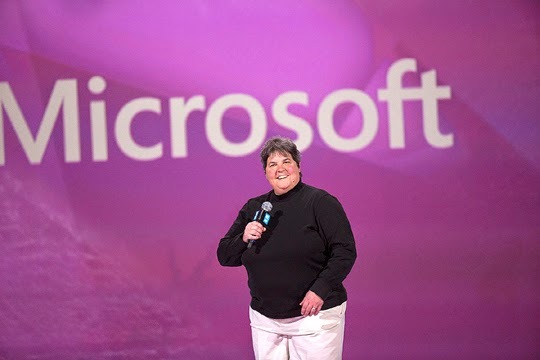 The number of Microsoft senior executive women and minorities rose from 24 percent to 27 percent in the past year. The percentage of women and minorities on the Microsoft board of directors is up from 33 percent to 40 percent compared with last year. Microsoft's workforce is currently 60.6 percent Caucasian, 28.9 percent Asian, 5.1 percent Hispanic/Latino, 3.5 percent American/African Black, 1.2 percent multiracial, .5 percent American Indian/Alaskan native and .3 percent Native Hawaiian/Pacific Islander. When looking at the Microsoft tech (versus nontech) workforce, the percentage of women is a lower 17.1 percent, according to Microsoft's data. Comparatively, Google's latest diversity data showed its workforce was 30 percent women and 61 percent Caucasian. Lisa Brummel, Microsoft's executive vice president of human resources, sent an email to all employees to mark the release of the latest information.